SEO is not Spamming the Web! Probably the worst accusation that Search Engine Optimization has ever received is the general public’s allegation that it is SPAM. Before I point out some arguments, I should inform you, my dear readers, that I am biased on this issue. As a Search Engine Optimizer myself, I am defending SEO – it is not spamming. The accusation has gone to the next level – both for the SEO specialist and the accuser – the former usually taking it as a racist remark. Then there are other questions, like, are we saying that Search Engine Optimizers are Spammers? Or are we saying that the techniques they are doing are Spam, whether meant it or not? We should make it clear that a “spam” that does well in Google rankings will still be spam. Ranking in Google doesn’t automatically make your content SEO because SEO does not equal to spam. Search spam does happen. What happens is automated link spam or comment drops that pollutes websites and of course, site owners. The search spam adds no value at all to the website, to its content and design and even to the product or service promoted by the site. What’s worse, no matter how you’ve explained it, some people still refuse to accept that SEO is not equal to spam. Having open systems and directories are risky because it opens up the website to articles, images, links and others that are not moderated and reviewed, thus distributing spammed links, etc. If SEO is for something, it is for ranking and traffic. In simplest words, you don’t have to spam to get high rankings. Spamming is cheating and no one needs to cheat. Of course, no one cares if you cheat but it doesn’t feel good. So if you have used spamming techniques to rank, instead of ethical white-hat SEO, you might start to feel guilty about it. Some White-Hat SEO strategies (the ethical SEO techniques) may not rank your well enough as spamming can, but spamming won’t live long. A long term high-ranking site is earned and not stolen. There are techniques that will get you the first page in Google. Some examples are Local SEO and “Traditional.” The one to avoid is called Black Hat SEO or the use of unethical techniques ways to get higher rankings. Some Black Hat SEO techniques are keyword stuffing, invisible texts and doorway packages, which are dead links found in the content. 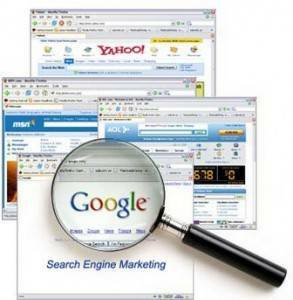 Using this heightens the risk of you being penalized by search engines. SEO is the Right Way. When you’ve got the ranking you desire and you know that your site is well-optimized, your competitors’ ranking are not any more of a big deal. It’s always a good thing when your conscience is clear and you know for a fact that you deserve that rank. What SEO have you been doing and how is it going?